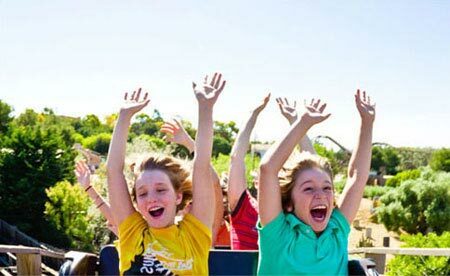 There is a choice of 1-Day/2 Parks Disneyland® Paris Hopper Tickets. Choose between tickets with date restrictions and those valid all year. 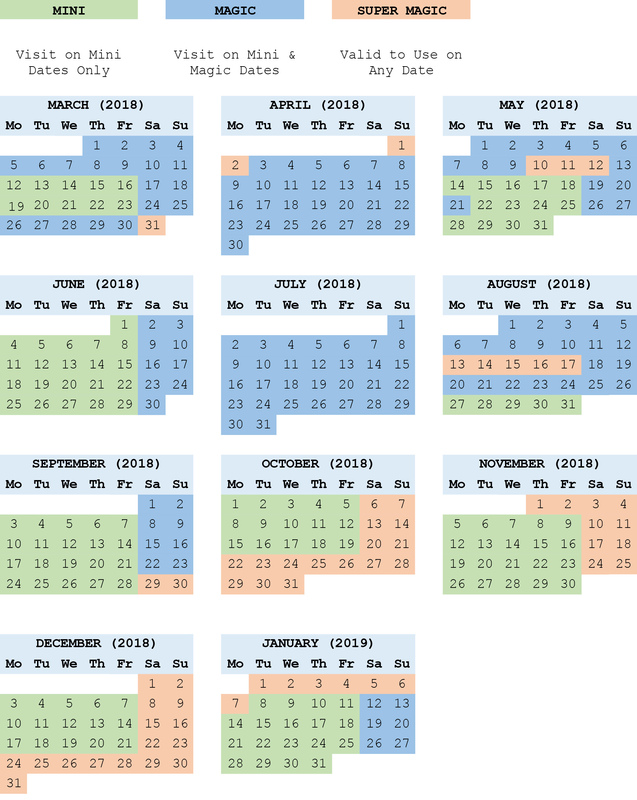 Our 1-Day/2 Parks Disneyland® Paris Hopper Tickets are open-dated and can be used on any day within the valid season dates highlighted below. 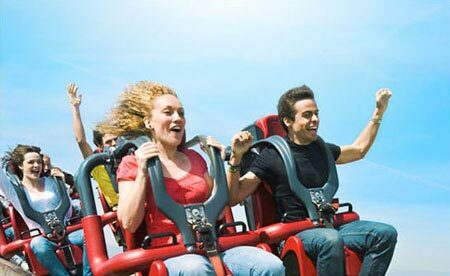 SUPER MAGIC (PEAK SEASON): The most flexible Disneyland® Paris 1 Day/2 Parks Hopper Ticket. The Super Magic Plus Ticket is perfect if you are unsure when you wish to visit Disney Paris as it can be used on any day throughout the year including the most popular dates such as Halloween, October Half Term, weekends in November and December and Christmas. 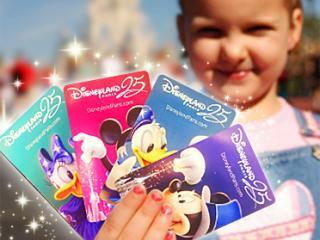 Disney® Paris Hopper Tickets also include the fantastic Standard FASTPASS® system, a free, time-saving service that shortens your wait at the most popular attractions in Disneyland® Park and Walt Disney Studios® Park. Disneyland® Paris is just 35 minutes from central Paris by train – take the RER line A4 Marne la Vallée/Chessy station, 100 metres from the gates of Disneyland® Park. Your 1-Day/2 Parks Disneyland® Paris Hopper Ticket will be mailed to you in the post. Upon arrival at Disneyland Paris, simply scan the barcode at the gate for admission to the parks. MINI and MAGIC Tickets have date restrictions and can only be used on one of the dates listed in the description. If you visit on a date that your ticket is not valid, you will need to pay the difference to upgrade your ticket in order to enter the parks. Please see ticket description for valid dates. No, 1-Day/2 Parks Disneyland® Paris Hopper Tickets are open-dated and can be used on any day within the valid season dates listed in the description. What happens if my plans change and I have already a purchased a 1-Day/2 Parks Disneyland® Paris Hopper Ticket that is not valid for my new planned visit date? Mini and Magic tickets can all be upgraded at the gate with a supplement payable direct at one of the ticket booths at the entrance to Disneyland® Paris. Are the ticket inclusions different for the Mini, Magic and Super Magic Tickets? No, the ticket inclusions are exactly the same for all the Disneyland® Paris 1 Day/2 Parks Hopper Ticket types. The only difference between the tickets are the dates they can be used to enter the Disneyland® Paris parks.